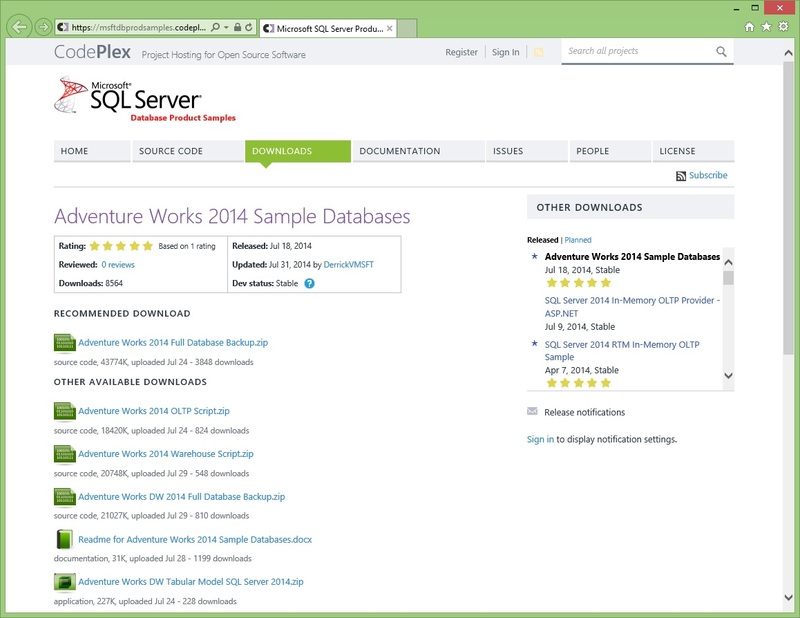 Sample DataBases AdventureWorks 2014 for SQL Server 2014 has been released and is ready for download, [link]. So download these now and start practicing and working on 2014!! !